Choosing the right safe for your office isn't always easy. A commercial safe needs to offer plenty of features to ensure you can keep your valuables protected. In addition, it has to offer you peace of mind when it comes to the security of running your business. Not all commercial safes are the same. Many commercial safes offer similar features, but some will give you an extra level of security when added to your office. Here are some of the things to consider when choosing a commercial safe for your office. 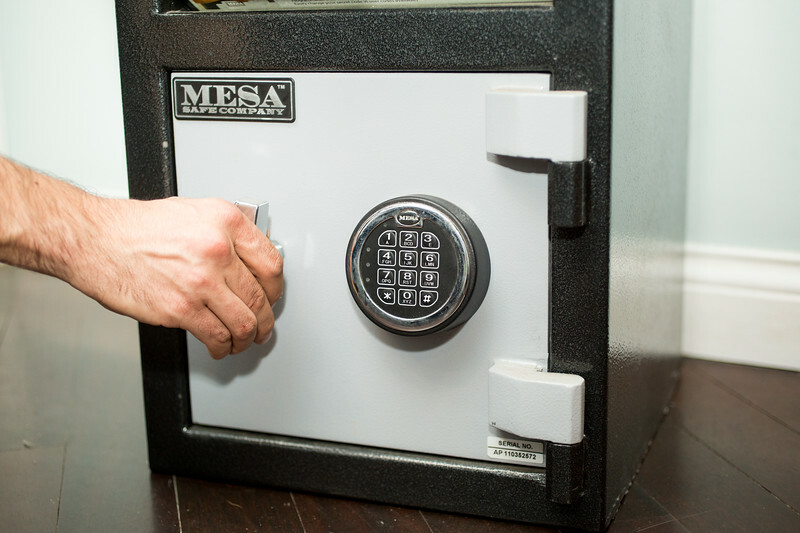 Choosing the safe that will give you full protection should be first on the list. Consider what you will be keeping in the safe and choose a safe with the best features to protect your items. You may need a torch resistant or tool resistant safe to ensure your belonging are protected from intruders. In addition, you may need a specific type of safe for specific reasons. For example, a retail store may need a drop safe or a deposit safe to ensure employees can make drops without opening the safe. Others may prefer an office safe with a high fire rating. The location of your office safe should be a factor, as well. Will you be keeping it under a desk, in a wall, in the floor, or in another location? This can impact the type of safe you choose. Some safes are specifically designed to be kept in the floor, while others fit better under a desk or in the wall. It depends on what you need and the space you have for the safe. Depending on what you may be keeping in the safe, you may need a larger or smaller safe. Size does matter as choosing the right size can be difficult. For most businesses, you want a safe large enough that someone cannot easily pick it up and walk off with it. However, if you get something too large, it could become a nuisance. Choosing the right size may depend on where you plan to keep the safe, as well. Consider the location of the safe, along with the things you plan to keep in it before you make a decision on the size. Of course, you want the best protection possible, but you may not need a high security safe if your budget won't allow for one. However, if you need a high security safe, you will likely spend more, but you will have a safe with a high fire rating, drill prevention, and many other great security features. Choosing the right commercial safe for your office can be difficult. The size, location, security level, and protection you need will make a pretty big difference when looking at the options. Take your time and compare a few safes before choosing. It may be a good idea to consult an expert to help you with the decision. An expert may also be able to install your new safe properly.